I’m Michelle Bowers. Old houses, full of character and charm, are my passion! My mother lives in a circa 1899 house in Virginia. As a young child I remember exploring old abandoned houses with my sister, Jennifer. We pretended like they were ours and imagined how life was back then when those homes were lived in. Back in April of 2013 our lives were forever changed with the untimely death of Jennifer. Upon the one year anniversary of her death I still found the grieving to be difficult. At that time I created the popular Facebook page, Abandoned Homes of North Carolina. I did it as a tribute to my sister. The page slowly morphed into something I didn’t plan or predict. It has now become a hub for all things about old houses. 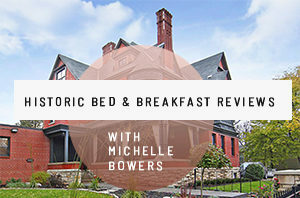 From preservation, restoration, video tours, and sharing old house listings; it has also become a place for old house lovers to meet up and talk about our favorite subject. When the page evolved, so did the name and Old House Life was born. Visit often, hang out, imagine living in one of these old beauties. And who knows, maybe your dream house is on here and another house will be saved by this community. I’m Jeremy Bradham and I live and breathe historic preservation. It’s not just a passion, but a labor of love, full of successes and challenges. Some people like myself get to do what they love for a living, to the point where it rarely feels like a job. I play an active role in saving our past for our future and educating others on the importance of cultural and historic resource management. In my free time, if I am not off exploring historic houses or collecting antiques, you can often find me on some battlefield educating the public about our country’s past. I was born just outside Raleigh, North Carolina and attended North Carolina State University, where I received a Bachelor’s of Arts in History in 2007. From there, I moved down to Charleston, South Carolina for graduate school, where I received my Master’s of Science in Historic Preservation in May of 2009 from Clemson University and the College of Charleston. During my tenure in Charleston, I worked for a restoration/preservation contractor on late eighteenth-century and early nineteenth-century houses throughout downtown Charleston. While restoring houses, I also gave guided tours of Charleston for two years, focusing on local history, architecture and preservation efforts throughout the city. I moved back to Raleigh, North Carolina in the Spring of 2012 after spending five years in Charleston and soon became the Preservation Specialist for Capital Area Preservation, Inc. in January of 2013, the position I currently hold. 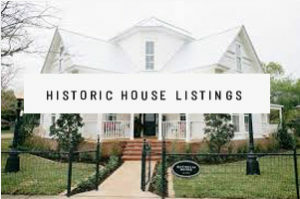 I am on the Board of Directors for three organizations: the Apex Historical Society (Vice-President), Maynard-Pearson House Trust, and Old House Life, Inc.